Agilent Technologies has announced the opening of a new, purpose-built extension to its Little Island, Cork facility in Ireland. The campus will focus on developing advanced technologies for the analysis of live-cells in real-time. The expanded state-of-the-art facility incorporates recently acquired Luxcel Biosciences, adding real-time, fluorescence plate reader-based in vitro cell assay kits to Agilent’s cell analysis portfolio. The complex will house two new laboratories, one dedicated to cell analysis technologies, and the other to develop biosensors and related bio assay solutions. 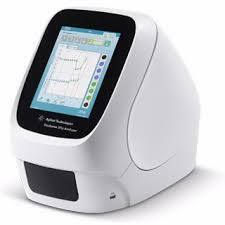 Agilent entered the cell analysis market in 2015 with the acquisition of Seahorse Bioscience, a leader in the development of specialised instruments and live-cell, kinetic assays. The addition of Luxcel expands the firm's cell analysis portfolio and brings new capabilities through technology and research, which will drive advancements in this fast-evolving field globally.